Lot 604 - Argentina general issues - Guillermo Jalil - Philatino Auction # 1913 ARGENTINA: "Clearance" auction with very low starts and many interesting lots! Lot 836 - Argentina general issues - Guillermo Jalil - Philatino Auction # 1913 ARGENTINA: "Clearance" auction with very low starts and many interesting lots! 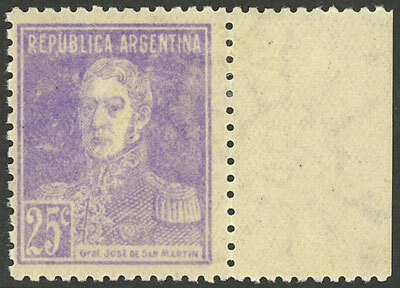 Lot 737 - Argentina general issues - Guillermo Jalil - Philatino Auction # 1913 ARGENTINA: "Clearance" auction with very low starts and many interesting lots! Lot 846 - Argentina general issues - Guillermo Jalil - Philatino Auction # 1913 ARGENTINA: "Clearance" auction with very low starts and many interesting lots!